Learn why transforming your relationship with food is your access to happiness, confidence and freedom. Access your intuition and your power, in all areas of life beginning with food. Master using your intuition to eat. Deepen your self-trust and expand your confidence over one meal. Connect with other like-minded, heart-centered people like you. Experience mindful eating at home and regain control of your eating habits today by downloading your FREE meal time audio guide! Way to take action! 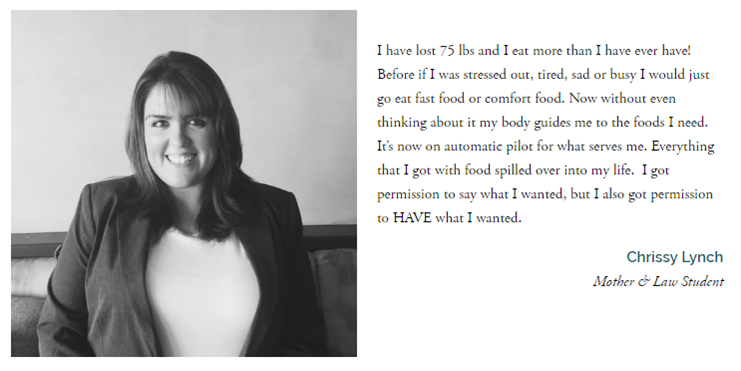 Congratulations for taking a step towards ending your battle with food! We have to acknowledge you for being one step ahead of the rest and actually taking action. So get excited because this little meditation is going to completely change the way you eat! The best way to see results is to use this short and sweet meditation while eating as often as possible and until it becomes second nature! We know you won’t be able to use it all the time, but it will be worth it every time you do! So make it a meal date with your headphones and get started by DOWNLOADING YOUR MEAL TIME AUDIO GUIDE BY CLICKING HERE. Are You Ready To Eat intuitively? Work with Hello Beautiful Health one-on-one to get a heart pumping, life altering, miracle making kind of freedom that makes you unstoppable! Every person in your life seeks you out for advice. You’re hard-working and always putting extra hours in at the office to make things happen. You inspire the women around you and always have a smile on your face. You are a natural leader who makes a difference in the world. Your relationship with food is tough. You can hold onto a diet for a few weeks, but eventually you find yourself bingeing and kissing your willpower goodbye. Everyone thinks you’ve got it together but inside you are really just stressed and overwhelmed. Some days you wake up and hate the way you look in the mirror. Everyone thinks you eat “perfectly” but secretly you feel like you can’t stop eating. ALL women could feel comfortable in their own skin. No woman judged her value by the number on the scale. Every woman felt confident and beautiful to share her unique gift with the world without sacrificing her own needs and desires. WANT FREE TIPS AND TRICKS TO EAT INTUITIVELY?